Book Fair dates: Our latest fair was February 11th - 15th. The theme was Stone Age, and we met our sales goal. 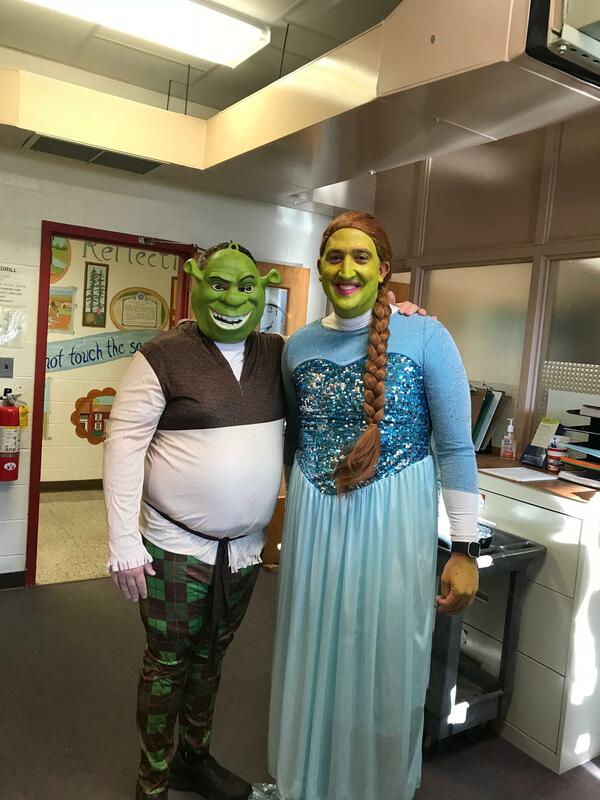 Yabadabadoo!! Thank you for all your support! Keep reading and making cards!! The 6th grade Battle is March 22nd here at BRMS. The 7th/8th grade Battle is April 1st at Tabernacle. 6th and 7th grade students learn to make Bibliographies or "Works Cited" Pages in Google Docs in MLA 8 format. Additionally, students are taking digital notes in Google Keep, practicing the 7 X 7 rule (no more than 7 bullets and 7 words per bullet). 7th and 8th graders are beginning to create in-text citations using MLA guidelines. Students learn how to use keywords for searching, and how to identify reliable sources. Direct instruction takes place in a co-teaching model, specifically in 6th grade Health classes, 7th grade Social Studies classes, and 8th grade Language Arts classes. This is an ongoing swapping area where students may trade books. 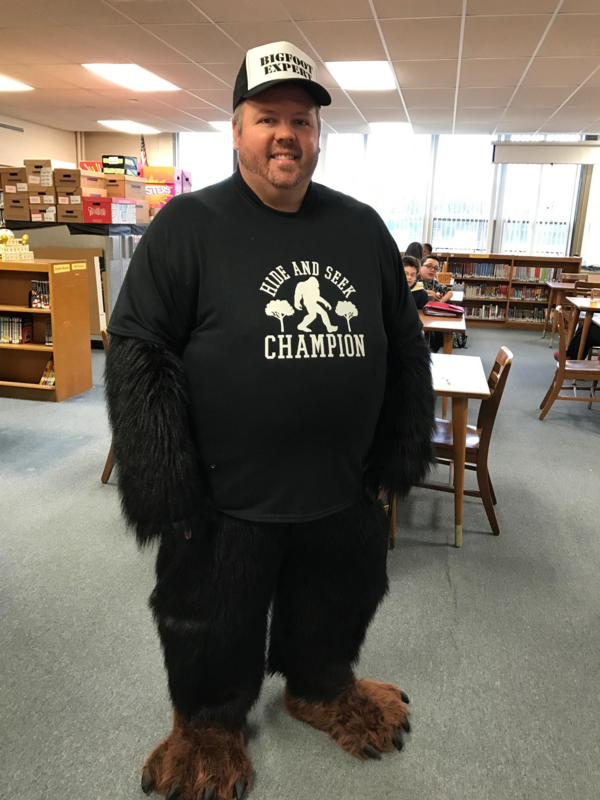 Mr. Sprague was Big Foot for the day after we passed our Book Fair sales goal!